Asian Beauty Slots is a delicate video game letting you enjoy the sophisticated Oriental beauty on 5 reels. One of the special things about this game is that you can make matches in 243 different ways This 3 row slot will have you feel that you are surrounded by beautiful Asian ladies in a tranquil ancient land. With great Microgaming graphics, intriguing gameplay it is available both for download and instantly. Asian Beauty reflects the characteristic ornate styling of Oriental themed slot games. The introductory clip is interesting. It shows the creation of a Japanese style sketch in black and white of the four Asian Beauties. Once the sketch is completed it gets instantly colored and shows the four ladies within a Japanese courtyard with a winter scene outside. The four Asian Beauties are dressed differently but in unmistakable Japanese style. The serenity and delicateness of traditional Japanese women is evident. The animations in the Asian Beauty slot game are subtle, but in keeping with the theme. The frames around the four Asian Beauties disappear and the ladies engage in some graceful movements. The music has a classical touch. However, the big wins are celebrated with louder music and a shower of coins and flowers. The slot machine offers to make a lot of intriguing matches. The game symbols appearing on the screen include Asian Beauty Logo, Moonlight Lady, Red Dress Lady, Blue Dress Lady, Red Coat Lady, Golden Item, Silver Item, Lotus Bloom, Sakura Bloom and Casket. There are the gold and silver powder boxes that the beauties use for four Japanese beauties make up. There is a symbol of white chrysanthemums and a pink lotus in full bloom. There are fewer symbols than is customary in online slot games and this leads to more frequent payouts. The Asian Beauty logo offers the highest fixed jackpot of 2000 coins. The scatter symbol is the embroidered case. It awards scatter payouts of 10, 15 or 25 free spins and award coins based on the line stake. Armed with a bevy of princesses, a bonus feature, scatter symbol and wild symbol, you’ll have 243 ways to win with the pinnacle prize amounting to 20,000 in the base game with the chance to double that in the Free Spins. The randomly triggered mirror bonus will invite you to a hall of 12 mirrors. Here you can choose up to 9 mirrors, match 3 princesses and win up to 30x your bet. The max bet on the game is 150 but the game will make you feel you are walking through some distant lands. To win the heart of cute Asians you’ll have to make bets, though this is a whole joy in this game. 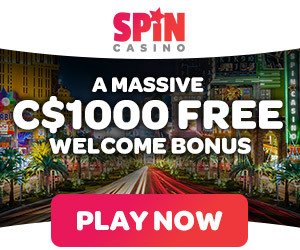 The sum you can stake per spin varies between $0.30 and $150. This range allows you to try different tactics, play with moderate minimal bets or risky maximums. It all depends only on your desire. Just play the way you like – this game helps you do that without any problem. To vary the bets in Asian Beauty Slots you can change coin values and the number of coins staked per line. Note that the minimal stake per spin is 30 coins, but if you like to risk, the number can increase up to 300. The full range of coin values includes $0.01, $0.02, $0.05, $0.10, $0.20, $0.25, and $0.50. The highest jackpot is 20,000 coins or $10,000 for 5 Asian Beauty Logo wild symbols. The second jackpot is 2,000 coins or $1,000 for 5 Moonlight Lady, Red Dress Lady, Blue Dress Lady or Red Coat Lady symbols. The third jackpot is 1,000 coins or $500 for 4 Asian Beauty Logo wilds. Three or more scatter symbols appearing anywhere on the reels trigger the free spins bonus round. Three scatter symbols award 10 free spins, four scatter symbols award 15 free spins and five scatter symbols award 25 free spins. All payouts during the free spins are doubled. If the requisite scatter symbols appear again during the free spins then the round is retriggered. A player can win a maximum of 40,000 coins during the free spins bonus. The highlight of the Asian Beauty slot game is the Mirror Bonus game on the second screen. This game is awarded randomly without the need for hitting a combination of symbols on the reels. 12 Japanese mirrors descend through the central part of the screen. On each side of the mirrors two Asian Beauties are displayed. Each beauty is assigned a multiplier. The player keeps clicking the mirrors of his choice one after another. One of the Asian Beauties is revealed in each mirror. When three images of the same Asian Beauty appear, the bonus game ends and the player’s total bet is multiplied by the multiplier associated with that beauty. A player can win a maximum of 9000 coins during the Mirror Bonus game. The Mirror Bonus game cannot be awarded during the free spins. In the normal spins if the free spins and the Mirror Bonus are awarded simultaneously, then the Mirror Bonus will be played first.